Does this mix with muscle gain? Question: I am a textbook ectomorph. I am 6 feet tall and weigh 150lbs. I workout a minimum of 5 days a week. I have been trying desperately to build muscle and definition but have had little success. I have always been a runner but recently started cutting back on cardio and venturing into the weight room. I learned at your workshop on Train Right for Your Body Type that my current routine may be a barrier to me reaching my ultimate goal of building muscle. I have the 4 day sample training program from your presentation and I started to follow. I was just wondering if you have any recommendations for cardio routines. I am a skinny fat because I do love sugar but after attending your presentation I have been restricting my sugar intake and focusing on eating clean. Any help or direction you can give me would be greatly appreciated. When you are going for a challenging goal like muscle gain (especially one that goes against your natural body type) it is best to prioritize that goal with your training efforts. Gaining muscle can be very difficult and adding too much cardio can make it almost impossible. Being an ectomorph myself, I stay on either side of the intensity continuum when it comes to cardio. I love low intensity cardio (e.g. walking, hiking, easy cycling) for health, recovery and movement on non-training days. I also like high intensity intervals such as sprints, sled pulls, hill sprints, etc. The trick is to not do too much high intensity work. 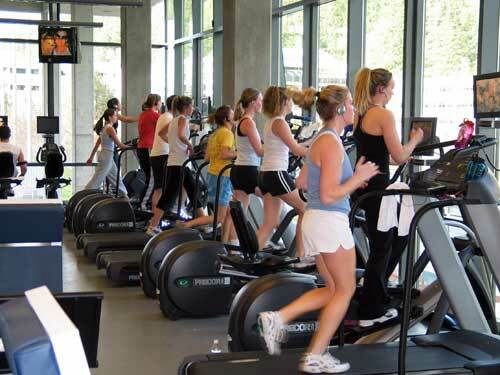 I recommend to take a few weeks to get used to the program with just some low intensity cardio (e.g. 20-30 min brisk walk) on the non-lifting days and possibly early/later in the day on lifting days. Once your measurements and scale weight indicate that you are gaining muscle, you can try adding some high intensity cardio in. 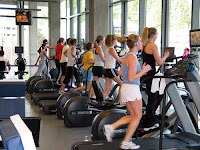 Try adding a small amount (5-10 minutes total time) of high intensity interval training (e.g. sprints) in 2 days per week (ideally after or later in the day of your lower body training so you have other days to recover). 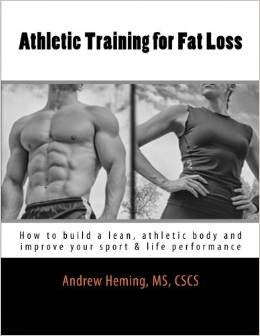 Once you gain the desired lean muscle you want, you can switch your goal to maintaining that and bring back some running if you desire. Just make sure to monitor how you feel and if you start seeing a loss in lean muscle or strength – and if so, back down. Good on you for recognizing the need to clean up your nutrition – it will make a huge difference in your body composition and health! I have more information on clean eating HERE. In addition to clean eating, nutrient timing and carb/calorie cycling can also help. I’m planning to write on those as soon as I can. Question for you that I can't seem to find elsewhere, Andrew! I'm doing strength training, but also enjoy some cardio-based activities the odd time, like hiking, power skating and running. How long of a time should I give between before and after working out my legs/these activities to ensure my legs can get optimal muscle growth/rest without any interference?